Bayern Munich prolific defender Jerome Boateng is reported to be ready to be the next man that will lead German football following the retirement of former captain Bastian Schweinsteiger from international football. After 120 games for the German national team, Schweinsteiger called time on his run as the captain of the team. The coach is now left with picking a replacement to captain the side. 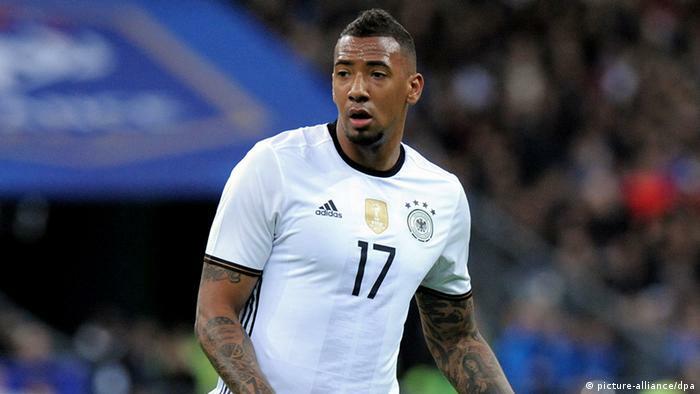 Boateng is one of the top choice for the role and he could be appointed as he feels he is up to the task of leading the German football team. “It is an honour to be captain of your country and I would certainly be ready. It is an important role. You are representing your country and you have responsibility,” the player told Bild. There is also goalkeeper Manuel Neuer and Mats Hummels, aside Sami Khedira, who are all experienced enough to captain the national team, but Monster Bet have made Boateng the clear favourite. Boateng admitted that the coach had a difficult task as there were enough options to pick from that would be almost capable of leading the team. “We have plenty of strong leaders in the national team. There is not just one boss. Jogi Low will certainly make the right decision as to who will succeed Basti,” the defender who was named in the Euro 2016 team of the tournament added. Low would continue as the coach of the team as he leads them through the qualification round for the 2018 World Cup set for Russia where they are expected to defend the title they won in Brazil in 2014. Despite retiring from international football, Schweinsteiger will continue as Manchester United player as he has refused to leave the club without being paid off. He is set to see his contract out at the club but might not get playing time as such under Jose Mourinho.